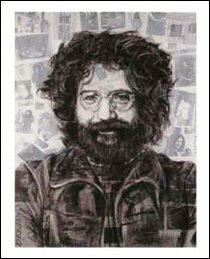 This hard to find Jerry Garcia poster looks like a painting of Jerry. It's printed on thick poster stock and it measures approximately 23" x 28". It would look great framed and would be a fine addition to any Deadhead's collection.